Grants Extra Fresh Toothpaste with organic tea tree oil has a strong minty taste that leaves the mouth feeling sparkling fresh. Tea tree oil works its magic, helping reduce bacteria in the mouth and is beneficial in reducing inflammation caused by gingivitis. 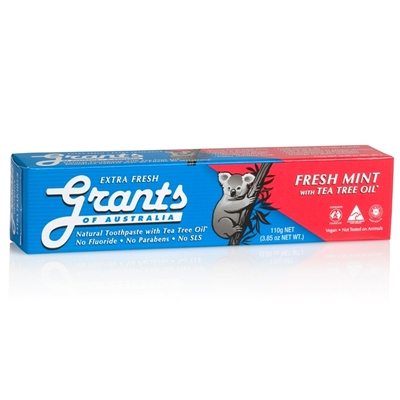 Grants Extra Fresh is ideal for adults who enjoy a toothpaste with a mint packed punch. 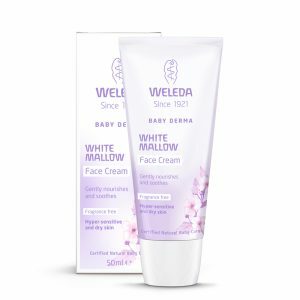 Water (aqua), Calcium Carbonate, Glycerin (Vegetable), Xylitol, Silica, Sodium Lauroyl, Sarcosinate, Cellulose Gum, Dicalcium Phosphate, Dihydrate, Natural Flavours, Stevioside (Stevia), Melaleuca Alternifolia (Tea Tree) Leaf Oil – certified organic, Magnesium Hydroxide, Potassium Chloride. Not tested on animals. Vegan friendly. Contains no genetically modified ingredients. Manufactured under GMP (Good Manufacturing Practices).